Mendall C. “Ty” COLE, the son of Armina FOLAND and James Alvis COLE, was born on a farm north of Grand River on Nov. 23, 1907, and died of a heart ailment July 1, 2002, at Iowa Lutheran Medical Center in Des Moines. He was 94. His parents bought a farm near Van Wert and he graduated from Van Wert High School in 1926. he attended Osceola Junior College one year and graduated from Simpson College [Indianola, Warren County, Iowa] in 1933. Because of the Depression, he had to drop out of Simpson for nearly a year and he worked for Fisher Body in Cleveland, Ohio. He married Crystal Shafer GLENDENNING on June 30, 1935. He was a teacher, coach and principal at Redding, Corydon, Panora and Madrid before serving as a physical education instructor in the Army in World War II. After the war, the couple started farming near Madrid and he taught a G.I. farm training class for two years. In addition to farming, he was a Boone County supervisor for eight years, a member of the Boone County Fair Board and the Boone County Extension Council and was a 4-H leader. 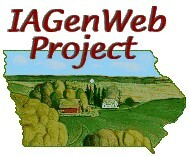 He was appointed by the Iowa Secretary of Agriculture to the state Marketing Board. In 1975, he retired and the couple sold their farm, moved to Madrid and spent their winters in Tucson, Ariz. They sold their Arizona residence in 1995. Mrs. COLE died Jan. 4, 1997. Mr. COLE continued to live in their home in Madrid. In addition to his wife, he was preceded in death by his parents, three brothers: Kenneth, Elmer (Ben) and Sylvian COLE and one sister, Ardetta GEORGE. He is survived by one brother, Donald E. COLE of Osceola and sister, Burdena MUNGER of Marshalltown, nephews and nieces. Funeral services were Saturday at the Sundberg Kirkpatrick Funeral Home in Madrid with burial in the Maple Hill Cemetery in Osceola.